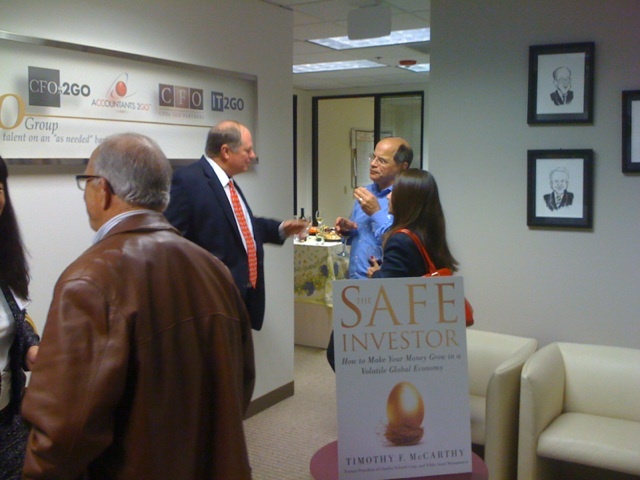 CFOs2Go hosted the launch of Timothy McCarthy’s new book, The Safe Investor: How to Make Your Money Grow in a Volatile Global Economy. The book launch for our Family Office clients and partners was a huge success. In presenting “The Safe Investor”, Tim highlighted key insights from the book and offered compelling real life examples from his global experience. • President and COO of Charles Schwab & Co.
We would be glad to discuss financial matters with you; for your business or family office.